This flexible Business and Accounting online course is delivered and awarded by CPA Ireland. The CPA Certificate in Business and Accounting is a flexible online course which offers a comprehensive introduction to the concepts and practices of business management, with an emphasis on accounting. This course is aimed employees who wish to formalise their learning in the workplace or students beginning their studies or career in business. The course is designed to be as flexible as possible and with two exam sittings in May and December each year, students can complete the qualification at their own pace. Students who successfully complete the certificate programme can progress to further accounting studies through exemption from the first stage of the four stage programme of study and training to become a fully qualified CPA accountant. Flexible and convenient e-learning study option. No previous qualifications are required to study the CPA Certificate in Business & Accounting. Upon completion students are awarded the Certificate in Business and Accounting accredited by the Institute of Certified Public Accountants in Ireland. Two exam sittings per year. Flexibility to choose the order and number of subjects you wish to study together. Holders of the certificate may then opt to continue their studies and pursue a professional qualification in accountancy. Full exemptions from all CPA F1 exams are available to successful students. Find out more information about the CPA Exams Syllabus. Practical syllabus with immediately applicable learning for those in employment. Computer based exams based in Dublin and Cork. 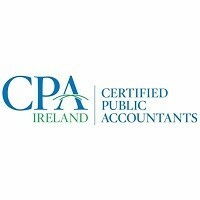 For information about Institute of Certified Public Accountants in Ireland (CPA Ireland), please visit our Training Provider page on Whichcollege.ie by clicking here. Whichcollege.ie is a national database of universities, colleges, institutes and providers of third level, CAO and PLC courses in Ireland. We operate a national search database of courses and colleges. © Seats Are Ltd T/A Whichcollege.ie. All Rights Reserved.